Looking for a new holiday destination I stumbled upon these 2001 pictures of BC Canada (See gallery). While going to BC a also wandered into the US and into Seattle. 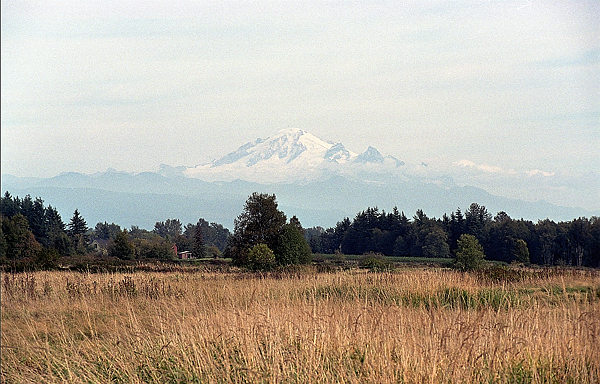 On my way back to Canada I saw this view on a mountain which, now looking at the map, was Mount Baker. It makes me want to go back and look at it up close. This entry was posted in Color, Nikon F90x, Travel and tagged Mountains. Yes! You should come back and look up close. 🙂 I may be biased but I’m pretty sure we’ve got the best state in the US.